We can help you with your funeral service using ANY cemetery. 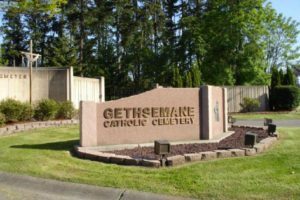 Did you know that in Washington State you do not have to use the services of a funeral home that is associated with a cemetery in order to purchase a plot in that cemetery? 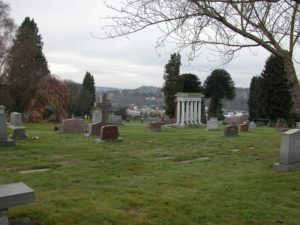 Because Washington State allows funeral homes to be located close to a cemetery owned by the funeral home, some people mistakenly believe they have to use that funeral home in order to buy a plot and be buried there. You don’t. You may use any licensed funeral establishment to arrange and conduct a funeral, including inurnment of cremated remains or full body burial in any cemetery. In some states like New York State, cemeteries are prohibited from having an associated funeral home on the premises and may not sell burial vaults. This is done to protect the consumer from predatory sales practices that can sometimes happen when the line between a funeral establishment and a cemetery gets blurred. In 1984, the U.S. Federal Trade Commission passed a rule to protect consumers. Called the Funeral Rule, it makes it possible for you to choose only those goods and services you want or need and to pay only for those you select, whether you are making arrangements when a death occurs or in advance. The Rule allows you to compare prices among funeral homes. When you go to some cemeteries to buy a burial plot, they may try to sell you the entire funeral service, including a casket, the vault to hold the casket, and a grave marker. The result can often cost in the tens of thousands of dollars. We urge you to discuss your funeral arrangements with us and we will show you ways to avoid exorbitant costs. The following are some of our area’s cemeteries. 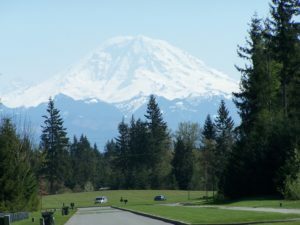 Veterans qualify to use Tahoma National Cemetery. Cemeteries may set their own rules and prices. Catholic cemeteries serve members and their families, including some non-Catholics. Municipally owned cemeteries may limit their services to residents of the city. 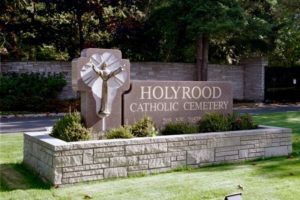 Commercial cemeteries generally welcome everyone but may have specific rules about the requirements for vaults, grave liners, and memorial markers. We serve families using all types of cemeteries and can generally help you save on the cost vaults and memorial markers. Click on a state or territory to view National Cemeteries in that state. SCI is the largest funeral and cemetery services company in North America. It operates more than 1,400 funeral homes and about 380 cemeteries in 43 states including about 283 funeral service/cemetery combination locations.